Put Your Eye Wear It Matters The Most! Video camera analysis can save you money. 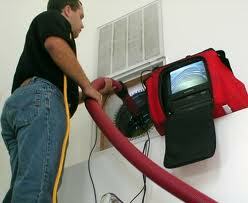 Don't open a area under suspicion (Water Leak, Leak In Wall, Leaky Heat Exchanger, Etc.). Go With The Proven Diagnostic Determination. Complete video inspection is your number one choice when it comes to video camera analysis.